Four tracks, one location! 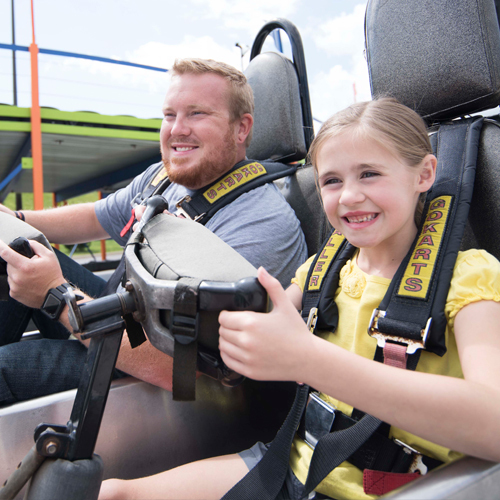 SpeedZone Fun Park offers the Great Smoky Mountains only true oval slick track that was made for racing! Grab your friends and get ready for some serious excitement! All four of the racetracks are custom built; the two twister tracks intertwine and take you around several corners and curves then bring you back to the top for a ride likely not forgotten! Features Pigeon Forge’s only true “slick track." The Old Mill is across the street. Located at Traffic Light #7 in Pigeon Forge. 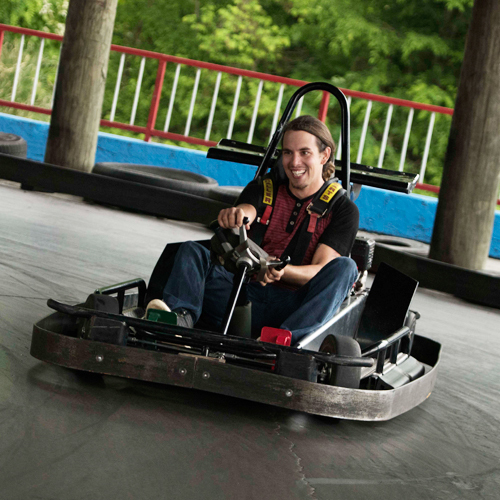 Speed Zone Fun Park offers the Great Smoky Mountains only true oval slick track that was made for racing! Grab your friends and get ready for some serious excitement! If you are in the mood for a thrill ride they also give you two of the best twister tracks. All four of their racetracks were custom built; the two twister tracks intertwine and take you around several corners and curves then bring you back to the top for a ride likely not forgotten! Got little tykes? 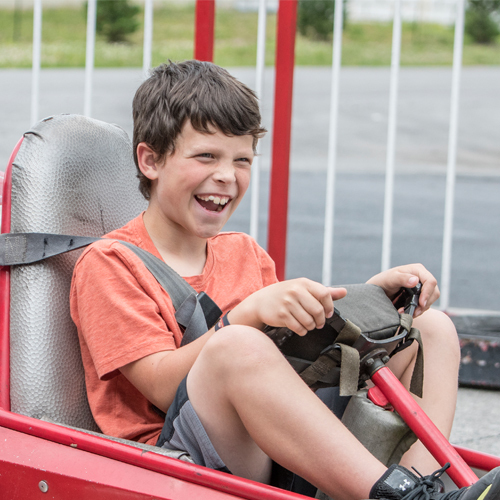 Let them feel like they own the world by driving themselves while racing other kids their size on the oval kiddie track designed specifically for them! 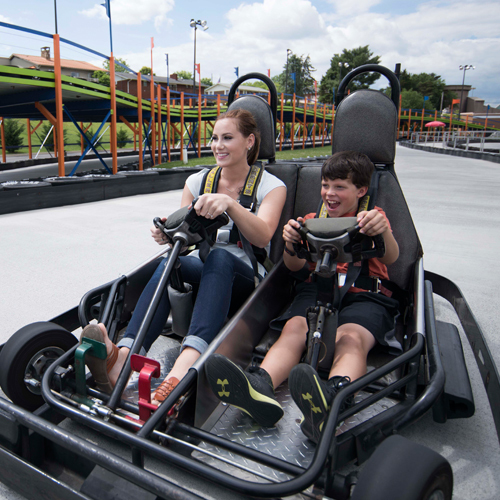 What are the age restrictions for the Go Karts? To ride a Kiddie Cart, children must be between the ages of 4 and 7 years old, and a minimum of 56" tall. 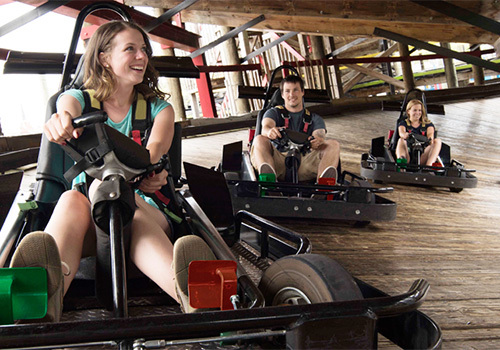 To drive the single go-karts, participants must be a minimum of 56" tall. 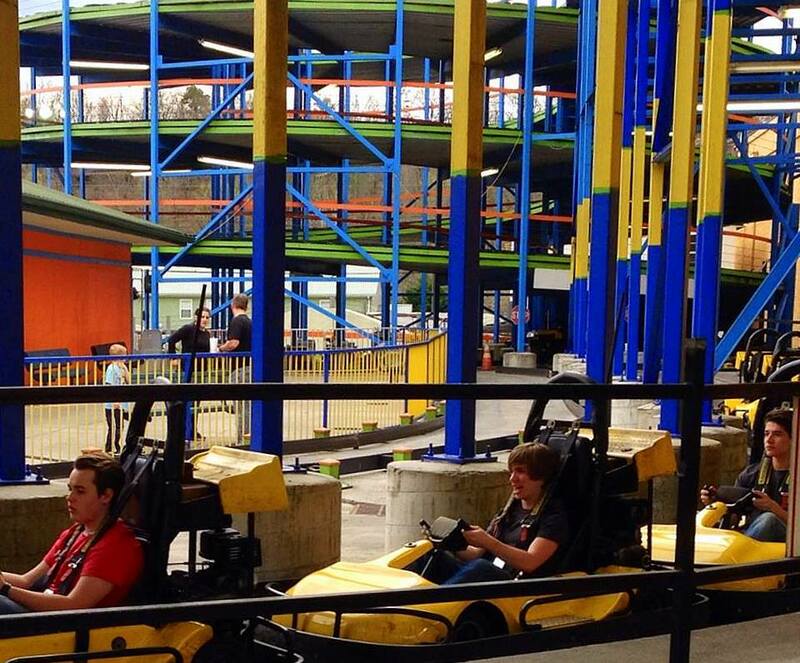 To drive the double go-karts, participates must be at least 16 years old. 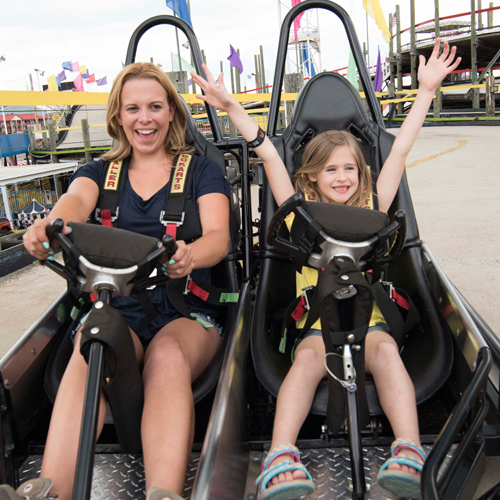 To ride in a double go-kart, participants must be 3 years old and a minimum of 36" tall. How many Go Kart tracks are available?